Question: A Markov chain whose state space is given by the integers i = 0,±1,±2, . 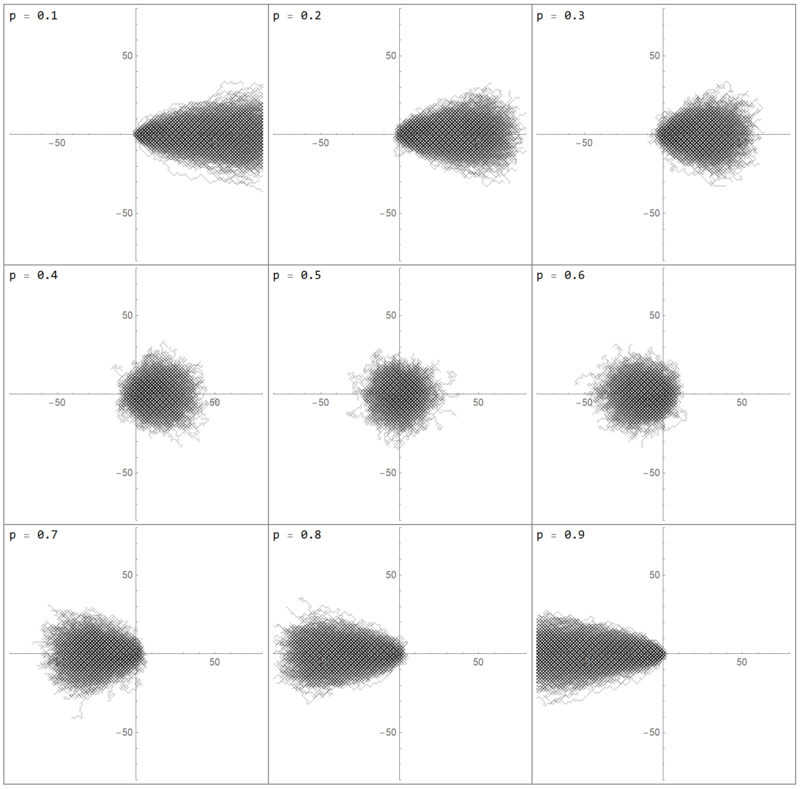 . . is said to be a random walk if, for some number 0 < p < 1, Pi,i+1 = p = 1 − Pi,i−1, i = 0,±1, . . . The preceding Markov chain is called a random walk for we may think of it as being a model for an individual walking on a straight line who at each point of time either takes one step to the right with probability p or one step to the left with probability 1 − p.
This is not actually a solution since nothing has been asked to be solved in the example. This would be a preview of what we might see in this chapter. This one is a representation of a random walk and each of the element in the grid shows the simulation when the bias to the right is equal to p. As the value of p (the probability of towards the right) increases, we see the progression of the paths accordingly. Note that the randomness in the y-direction is intentional and to just represent the path. It has no significance for the left and right bias.